The Philadelphia 76ers added Jimmy Butler and Tobias Harris this season to make a run at an NBA title, but the Brooklyn Nets proved Saturday they can't look past them. Brooklyn, the No. 6 seed in the Eastern Conference playoffs, took a 1-0 series lead with a 111-102 win in Philly. 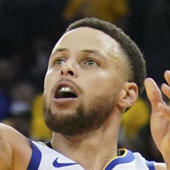 Now the teams face off in a critical Game 2 of the 2019 NBA Playoffs on Monday night at 8 p.m. ET. The No. 3-seed Philadelphia is favored by 8.5 in the latest Nets vs. Sixers odds after the line opened at -7.5, with the over-under for total points scored set at 226. Brooklyn has won four in a row and covered the spread in nine of its last 12, but Philadelphia will likely have a healthier Joel Embiid (knee) and a motivated lineup after the Game 1 embarrassment. Before locking in any Nets vs. Sixers picks or any NBA predictions for Monday, you'll want to see what the SportsLine Projection Model is saying. Now it has locked in on Sixers vs. Nets. We can tell you it's leaning over, and it's also generated a very strong against-the-spread pick that hits in nearly 70 percent of simulations. You can only see it at SportsLine. Embiid was hobbled in Game 1 but still finished with 22 points and 15 rebounds in 24 minutes. Embiid, who's questionable for Monday, owned the Nets during the regular season, scoring at least 33 points in three of the four games and recording at least 12 rebounds in all four. A healthy Embiid would mean all the difference for Game 2 of Nets vs. 76ers. Jimmy Butler was the only Sixers player to show up on Saturday, pouring in 36 points. The Sixers had scored at least 116 points in four of their previous five before Saturday's letdown. The Sixers are also 9-5 against the spread when the line is between -7 and -10, just like it is on Monday. But just because Philadelphia is the higher seed at home doesn't mean it'll cover the Sixers vs. Nets spread on Monday in the NBA Playoffs 2019. Brooklyn held the Sixers to 3-of-25 shooting from beyond the arc in Game 1, and Russell missed 12 of his first 15 shots, but came up huge in the end and finished with 26 points. While the Sixers have the more start-studded lineup, the Nets showcased a far deeper bench on Saturday. Caris LeVert scored 23 points and Brooklyn's reserves outscored Philadelphia's 59-26. The Nets have not only won four straight, they've also covered the spread in seven of eight overall and four of five against the Sixers. So who wins Nets vs. Sixers? And which side of the spread can you bank on in nearly 70 percent of simulations? Visit SportsLine now to find out which side of the Nets vs. 76ers spread you need to jump on Monday, all from the model that has crushed its NBA picks, and find out.